San Antonio has just about everything going for it when it comes to cuisine, walking trails and sports. It’s home to well known Tex-Mex cuisine and its NBA team, called Go Spurs, have been division champs many times in the last twenty years or so. San Antonio boasts a sunny climate which in recent years has been converted into electricity for the use of everyone. You may feel annoyed by the imposing heat that pours down on you when you are out shopping on one of San Antonio’s busy streets, but the sun that produces that excruciating heat can provide you with the electricity to cool your home down through air conditioning. There is plenty of untapped solar panel energy over San Antonio, just waiting for more customers like you! It doesn’t cost too much to convert your home to solar powered electricity. It just takes a little bit of initiative to begin your investment. 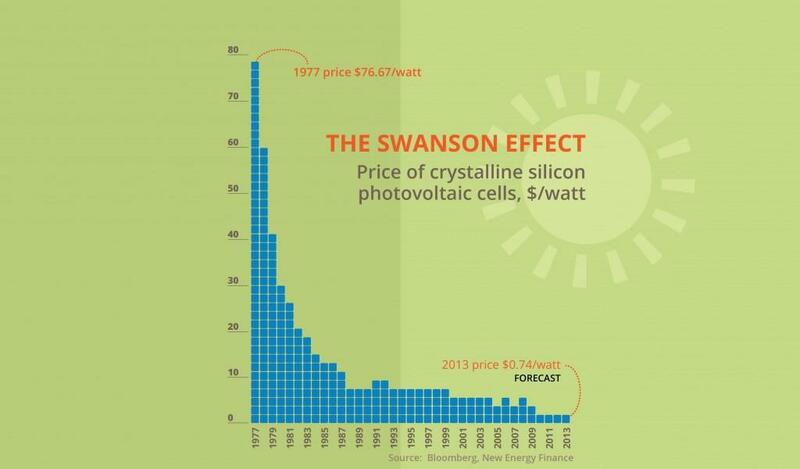 This graph shows the Swanson Law, named by the founder of a solar panel manufacturing company, Richard Swanson; solar photovoltaic modules tended to drop 20% for every doubling of global manufacturing. What it means for you is that if you’re worried about the cost of going solar, you don’t have to be. Solar equipment has never been cheaper than it is now, and once you install a solar system, the electricity it gives you will be free. You couldn’t ask for better than that. There is a simple route to follow when you go solar. The long term investment will amaze you. 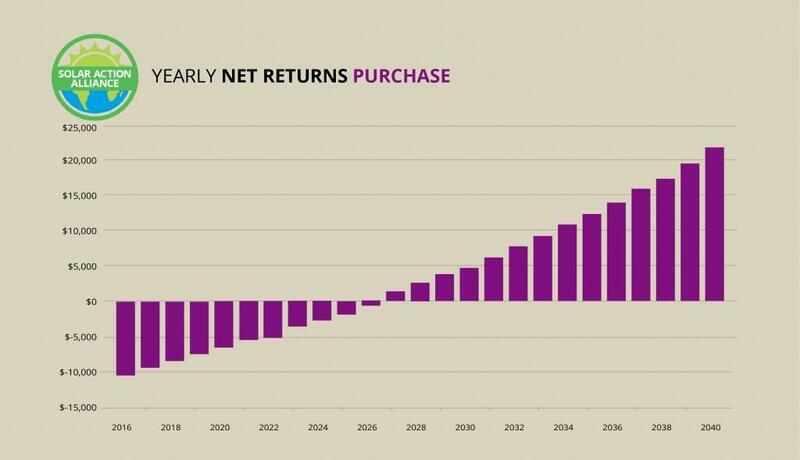 Just look at the chart and you will see that as soon as you start investing money in your solar energy system you will start saving on energy costs. Just calculate how much you are paying for electricity per month and you can see that by 2027, after an investment of twenty thousand dollars, you will have paid back your investment and you will be experiencing a profit. Not everyone has huge amounts to spend to begin with, but that doesn’t mean you can’t start the ball rolling. 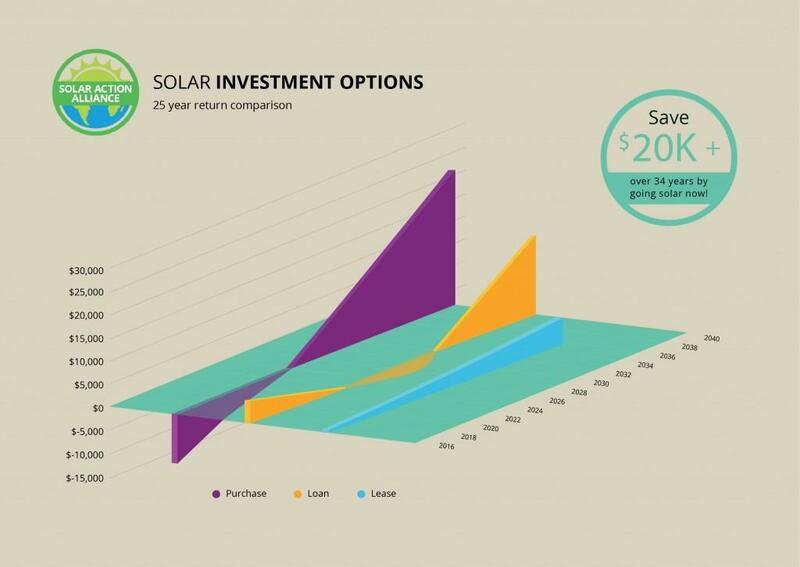 In some states obtaining a solar lease helps to save money. However, in San Antonio these sorts of leases are not permitted but the local power company, CPS Energy, does offer rebates for home solar panel installations. It is necessary to pay in advanced to qualify for these rebates. These are estimated figures, as everyone’s home is unique, and the amount of savings will be dependent on this. San Antonio has some excellent financial experts willing to help you. An estimation of the savings you would make can be drawn up by an expert and a plan can be devised which will enable you to gain the maximum from your solar energy system. Most experts provide a quote at no cost so it’s worth shopping around until you find the most suitable quote that matches your requirements. Buying with cash eliminates the worry of paying back a loan and of course your energy savings start immediately. As shown in the graph, if you can afford the initial cost, the return on your investment is high. CPS Energy in San Antonio offers rebates to homeowners who purchase solar equipment but not to installation companies who offer solar systems on a lease (which is why you can’t get a solar lease in the city). These rebates knock off about 40% of the cost of your equipment right away. You also get a Federal tax break on the value of your equipment (Texas has no income tax, hence no tax break!) and property tax is not required on solar panel installations throughout Texas. This means the high value of your solar panel system will increase the value of your home – but you will not have to pay any property tax on the increase! If your solar system is saving you $1,000 in energy bills, your home will have risen in value by at least $20,000, tax free. San Antonio banks and reputable credit unions offer competitive loans for the installation of solar panels. You don’t have to front up with much of a deposit but the interest rate you are quoted has to be as low as you can get. This is because to begin with the total cost of your system with initial layouts will likely be greater than any electricity savings. 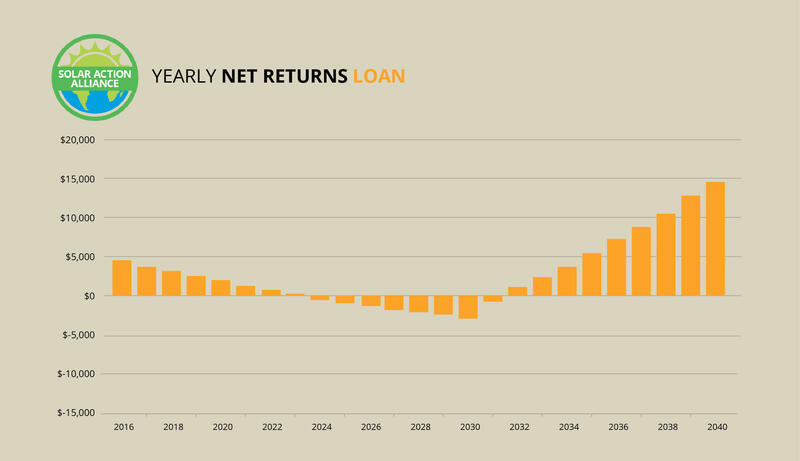 However, utility companies increase rates by 3.5% annually, but there is no change in your loan payment. If you obtain a loan spread over a 20 year period at 6%, and you pay off some of the loan early, financed by your federal tax credit after the 1st year you will do well when compared to buying with cash. You will expect to pay a little over your present energy bill for up to 11 years, and following that, the profit is yours. The lower the interest rate you manage to negotiate the better the deal. Any amount below 4% will bring you close to the same profit level as those who bought with cash. Even a 6% rate will ensure your solar panels investment does better than anyone who purchased their investment in a single payment. When you buy with a loan, you get the same rebates and tax breaks as you would if you were buying with cash, so you pay a lot less than the listed purchase price. The big difference is that with a loan you pay interest but do not have to pay any money down. 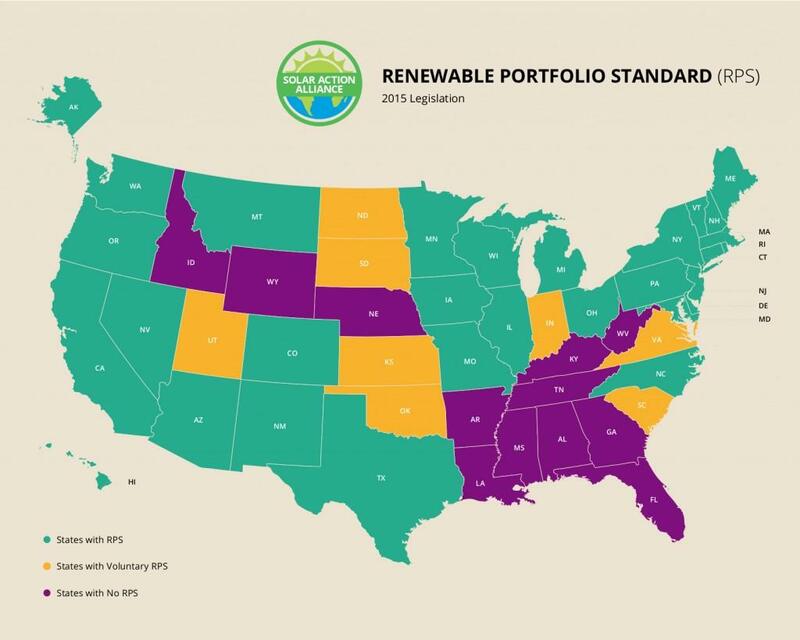 An RPS law sets what percent of a state’s electricity must come from renewables by a certain year. The idea is to give utilities an incentive to help their customers go solar, something that they would not otherwise do. Unfortunately, Texas has repealed its modest RPS law. The good news is that San Antonio’s utility offers some solar incentives anyway. Texas does not have a great record for solar energy—but San Antonio does. You get the property tax break the state offers for solar and the state’s decent interconnectedness policy, but you also get the rebates and net metering (meaning you can get credit for the extra electricity you generate), options Texas as a whole does not offer. These extra possibilities shorten your payback period, increase your savings, and make San Antonio a much easier place to go solar. 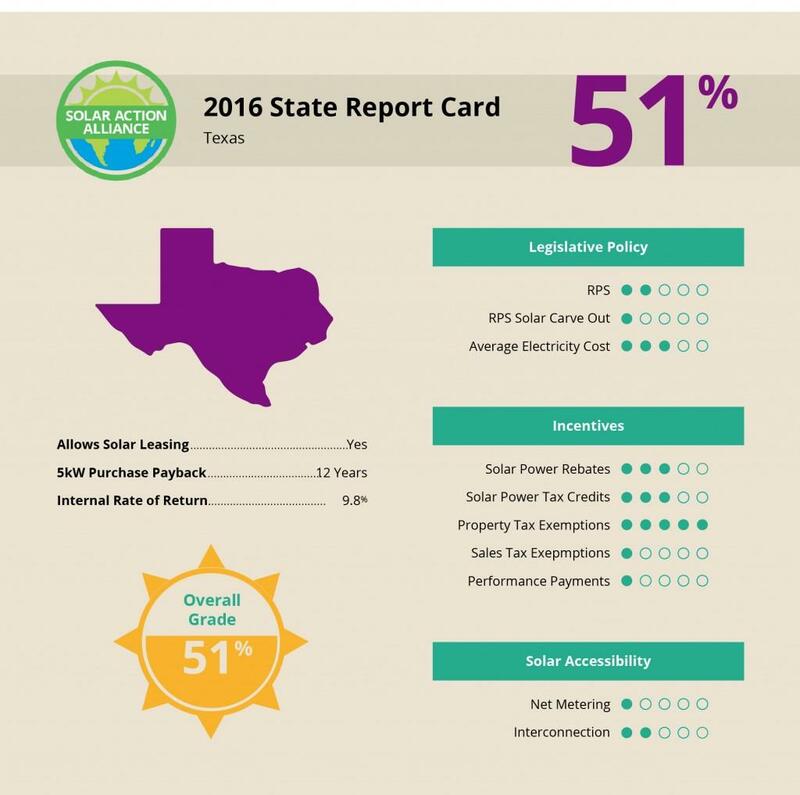 Now, if Texas would pass an aggressive RPS law and a solar sales tax exemption, the rest of the state could catch up.